Coca leaves packaged for sale in Peru. On sale legally in Peru and other Andean countries. The plant is native to the slopes of the Andes in South America, where indigenous people have used the leaves for centuries. 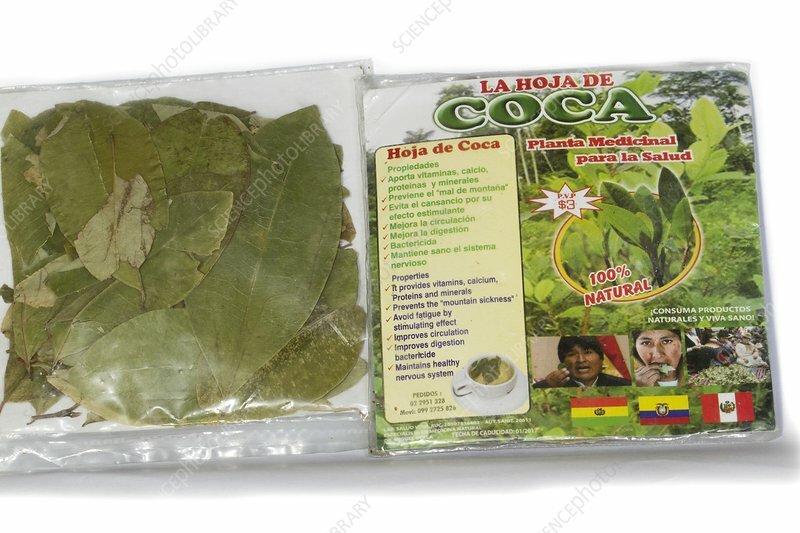 Coca leaf has many positive medicinal benefits, unlike processed cocaine.